DISCLAIMER: This is not me being horrible towards Revlon at all. I do enjoy products from the brand and will more than likely purchase more, just not this foundation. It simply didn’t work for my skin and I didn’t like it. I don’t enjoy slating products at all, especially when I do enjoy other products from the brand. 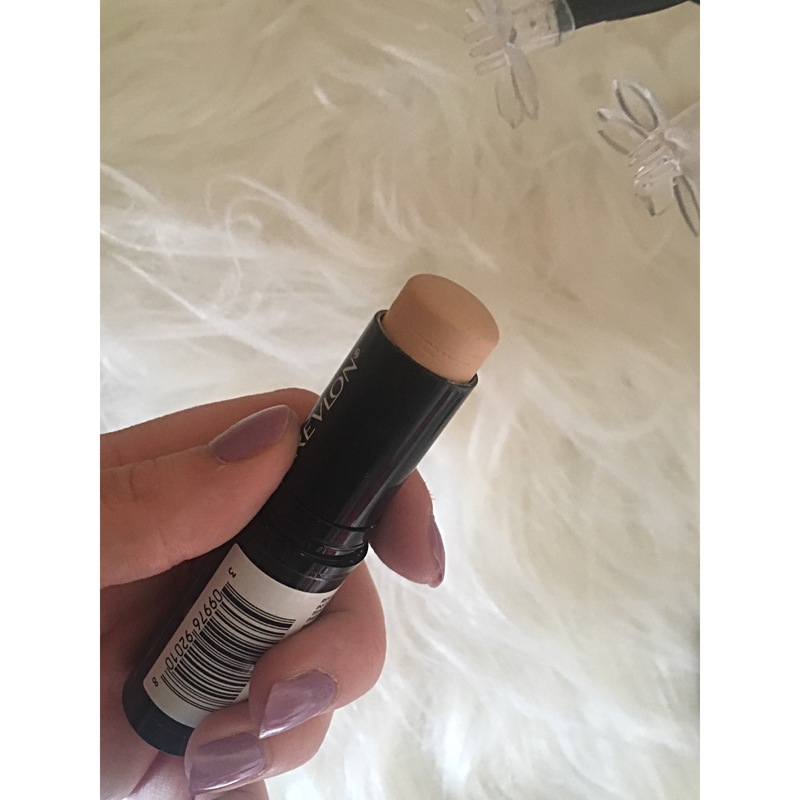 However, the Revlon Foundation Stick was the most disappointing foundation I have ever used. I’m combination skin between dry/oily which I’m fine with and I generally control it quite well but this foundation literally did nothing, it didn’t even stay on for more than 2 hours and sometimes less. Regardless of whether I used a primer, moisturiser or whatever, it doesn’t bloody stay on. I got it from Superdrug in the 3 for 2 deal but it’s normal price is £9.99 and it’s not worth it at all. It isn’t even worth the 3 for 2 deal and it was a free product! Within 2 hours it literally looked like I hadn’t applied anything. The texture felt awful and just didn’t ever set. No products would stick to it at all. So, overall rubbish product. For Christmas 2016 I received the Urban Decay All Nighter Foundation as a gift from my parents. I had tried a sample portion during the summer of 2016 and I really enjoyed it and had informed my parents as a possible gift idea. So, ever since i’ve been testing it out to see whether it’s actually as good as I remember. Having spent the last month wearing it I’ve realised it’s actually not as good as I remember which has majorly disappointed me. So, since I was having so much trouble deciding whether I actually liked it I had my best friend Megan test it out too on a night out and Megan really liked it. Today’s review is going to be slightly different than usual, this time you’ll have 2 different reviews from myself and Megan. Megan has combination to oily skin, the same as me but I do have quite dry skin around my nose. We both wore the foundation on the same night and throughout the night I noticed that the foundation was definitely sitting differently on our skins. For me I found that when it’s first applied, it’s beautiful and makes me look flawless but across the time that I wear it I find that it rubs off around my pores and nose area and really makes my skin look quite gross. Before it starts to move away from my nose I usually get around 3 hours wear time out of it and since it’s the ‘all nighter’ foundation I kind of expect it to last a lot longer for 3 hours. Megan actually really enjoyed wearing this foundation, she found that it didn’t go patchy at all and stayed put around her oily areas. It blended so comfortably on her skin and it literally done as it said on the tin and lasted all night. I personally wouldn’t ever purchase this again but I know Megan loves it and would definitely wear this happily. Let us know what you think of it and give us recommendations for other foundations you’ve loved.